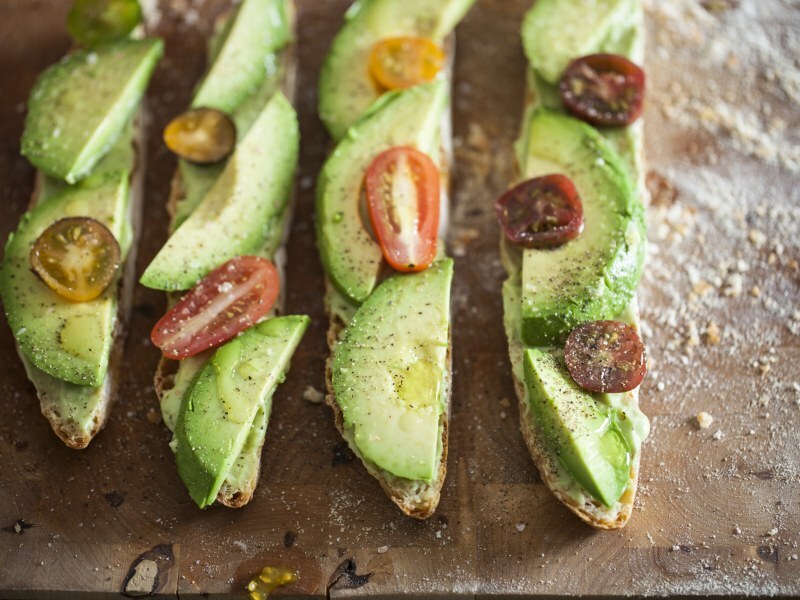 This avocado toast recipe has a double dose of avo because you can never have too much of this earthly treasure. 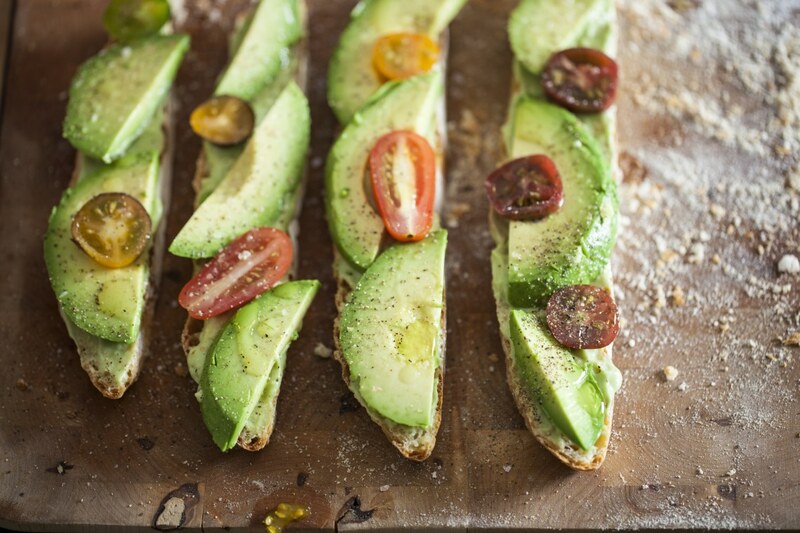 It's sort of a fancy avocado toast—the kind you might serve to guests or just for yourself when you want something special. The base is a creamy avocado mousse that you whip up in the food processor and pipe onto your bread. Then you layer on avocado slices, along with tomatoes. We have an easy recipe for making your own bread for the toast but if you don't have the time, try to get a good loaf from your local baker. You can bake the bread ahead in the morning and enjoy this recipe as a snack throughout the day. If you're using store-bought bread, go for something with heft, like a sturdy country loaf. Per Serving: 543 calories; 18g fat; 83.8g carbohydrates; 13g protein; 9mg cholesterol; 3342mg sodium. Nice, quick breakfast meal I made this morning- minus the homemade bread. I topped my toast with a fried egg to complete the meal. This is an avocado lovers dream! So delicious. I also really loved the bread loaf! It was my first time making bread and it was so easy!